A reference/text for researchers in neural computation and related disciplines. 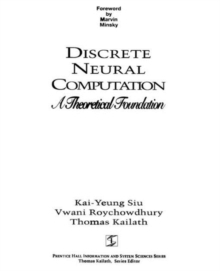 This book brings together - in one volume - the recent developments in discrete neural computation, with a focus on neural networks with discrete inputs and outputs. It integrates a variety of important ideas and analytical techniques, and establishes a theoretical foundation for discrete neural computation.